The GBC Magnapunch Pro Interchangeable Die Punch is best-in-class among high volume desktop punches. It provides unmatched speed and durability, This workhorse features flywheel technology, a half-second punch cycle and an oversized crank shaft, making it a perfect fit for your office or print shop. The GBC Magnapunch Pro also includes a 3 Year Warranty! These comb binders will allow you to create professional comb bound presentations in house eliminating the large expense of outsourcing. We offer a full line of quality plastic comb binding machines that will fit any comb binding presentation need. Comb binding machines can bind presentations from as small as 6 sheets up to 425 sheets on a 2 inch plastic binding comb. Comb binding equipment is offered for small, medium and large size presentations. Choose from either an electric punch comb binder making the punching process easier or a manual punch combbind binding machine. Take Advantage of our Low Price Guaranty and Order your Comb Binding Machine Online or Call Today! Spiral coil binding machines are great for use in offices, schools, churches and government environments. Eliminate the high cost of outsourcing by choosing from our wide selection of coil binding machines from leading manufacturer’s Digital Finishing, Tamerica and Sircle. Choose from over 50 different plastic coil colors to match any spiral bound presentation need. We offer spiral binding machines that include an electric punch plus electric coil inserter for medium to heavy duty office use as well as smaller manual punch with manual insertion coil binders for personal use. You do not need to limit your binding capabilities as we offer spiral coil binding machines that will also do plastic comb binding. Take Advantage of our Low Price Guaranty and Order your Spiral Plastic Coil Binding Machine Online or Call Today! Wire binding is becoming very popular in today’s binding marketplace as your most important presentations will have a professional bound appearance. Select a quality wire binding machine from industry leader wire binding manufacturer’s Digital Finishing, Tamerica and Sircle. Wire binding machines are offered for personal use as well as medium and heavy duty use. Choose either a manual or electric punch wire binding machine depending on your presentation needs. Easy to use! Just punch your paper and use the convenient wire closer to secure your document. Take Advantage of our Low Price Guaranty and Order your Wire Binding Machine Online or Call Today! GBC ProClick binding machines come in several different models that will handle any of your binding presentation needs. From the personal desktop GBC P50 manual model to the fully automatic GBC P3000 model the ProClick machines offer a truly unique and easy to use binding solution for personal, office, educational and government entities. GBC ProClick binding spines are available in numerous colors to enhance your documents. A 3:1 32 hole punch pattern allows you to use a 3:1 pitch wire punch binding machine also. An editing tool allows you to add or remove pages without having to do redo your entire presentation. The GBC ProClick binding machines are an easy to use binding solution for any environment where document binding is required. Take Advantage of our Low Price Guaranty and Order your GBC ProClick Binding Machine Online or Call Today! Manufactured by industry leaders GBC and Tamerica utilizes a hot knife binding technique that will securely lock the pages into place. Several models are available depending on your binding needs. Choose from the personal small office use GBC V110E Electric Punch VeloBind binding machine up to the GBC VeloBind System III which will electric punch up to 30 sheets of 20# paper and bind up to a 750 sheet document. VeloBind binding systems are ideal for law and accounting offices. Take Advantage of our Low Price Guaranty and Order your GBC VeloBind or Tamerica SureBind Binding Machine Online or Call Today! Simply place your papers in the thermal binding cover and then place the cover in the thermal binding machine. The heat will activate the glue that is in the spine and securely bind your document. Perfect for reports and proposals our quality thermal binding machines will save you an enormous amount of time binding your presentations. Great for the busy office, school, or government agency thermal binding machines will give all of your presentations a true professional appearance. Take Advantage of our Low Price Guaranty and Order your Thermal Binding Machine Online or Call Today! Make professional appearing books, documents, proposals, presentations and reports quickly and easily. Bind any size presentation up to 325 sheets in less than 20 seconds. Choose from 11 different colors to enhance your bound documents. Save money by eliminating expensive outsourcing. 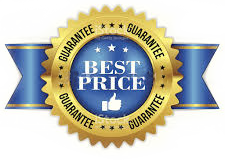 Take Advantage of our Low Price Guaranty and Order your Tape Binding Machine Online or Call Today! Enhance your bound presentations by using UniBind’s numerous covers and steelback binding spine offerings including the ability to bind hardback books. Covers are available in either crystal or matte finish, linen, leatherette and hardback to handle any of your document finishing needs. Simply place your pages in the cover and spine of your choice and place the document in the UniBind Binding System. 90 seconds later your professional bound presentation is ready for distribution. Operator handling time is 3 seconds per book making this binding system one of the biggest time savers available. Save tiem and money by eliminating outsourcing of your binding materials. The UniBind Binding machine is ideal for the office and educational marketplaces. Take Advantage of our Low Price Guaranty and Order your UniBind Binding Machine Online or Call Today! A booklet maker is the perfect binding solution for churches, schools and print shops. Our tabletop booklet makers allow you to quickly and easily produce professional booklets, pamphlets, newsletters and reports. Take Advantage of our Low Price Guaranty and Order your Booklet Maker Online or Call Today!